This entry was posted in Swatch Saturday, Swatches and tagged Bee's Knees Lacquer, brown, indie, neutrals, swatch, The Indie Shop. This is gorgeous and totally my kind of colour no matter what time of year! This is so unusual. 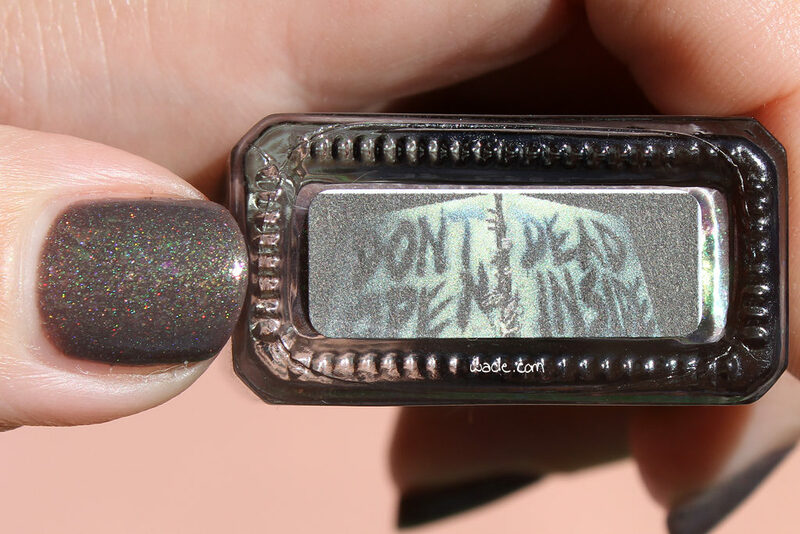 I see mostly green in the base with all those beautiful shimmers. It looks like a combo of green and gray to me. Haha I use that sign all the time in my marketing examples because I read it the same way you do. Neat polish! I hadn’t really seen a good zombie polish in awhile and this really was a great look, even with the kitchen sink thrown in! The green shimmer is amazing. I plan to pick up a few from this brand at indie expo. Haha I read it that way too! The brain automatically sees from left to right LOL. 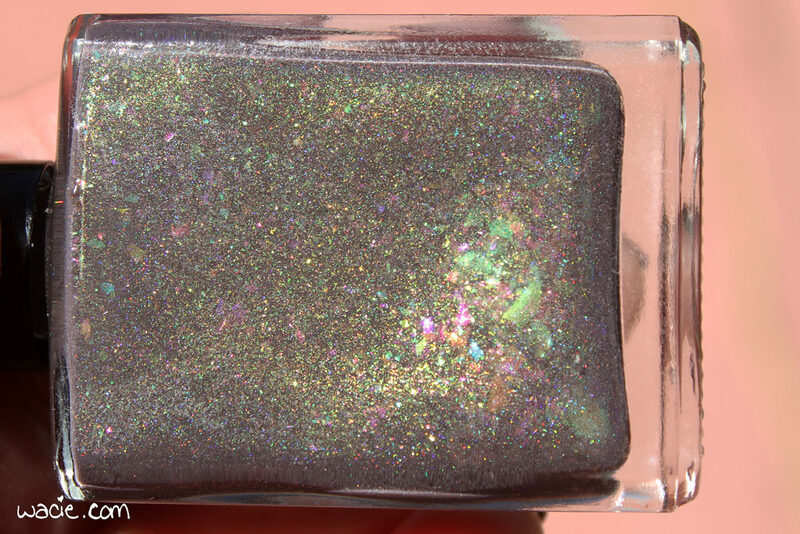 I love the green shimmer and the flakies in this polish. That label! LOL! Its a pretty polish! The iridescent goalies in this really bring it to life. I like. Those iridescent flakes are everything!!! I love it!! Beautiful swatch and polish. Also, I have a Starbucks near by and it never occurred to me to blog from there. I may give it a try!